Attero Tech is a leading provider of unique and cost-effective networked AV solutions for small and medium sized venues. Attero Tech solutions help AV systems integrators reduce cost, improve audio quality, future proof systems, and meet their most demanding design requirements. 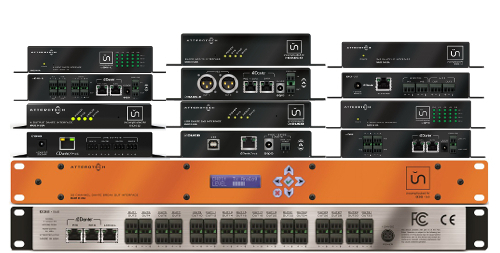 Leveraging their deep background in audio networking and audio theory, Attero Tech engineers have developed out-of-the-box solutions for virtually any connection scenario. If there is a need, Attero Tech has the solution. 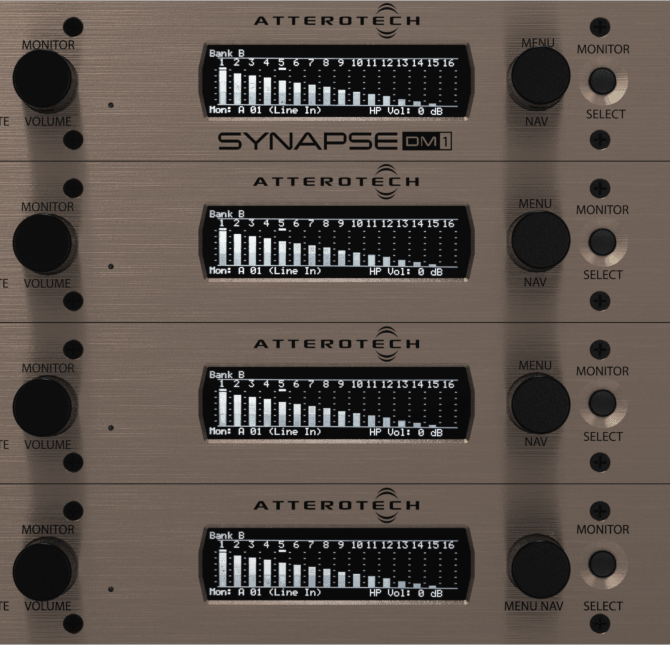 Attero Tech manufacture endpoints for Dante, AES67, Ravenna, Livewire+and Q-Lan digital audio networks. 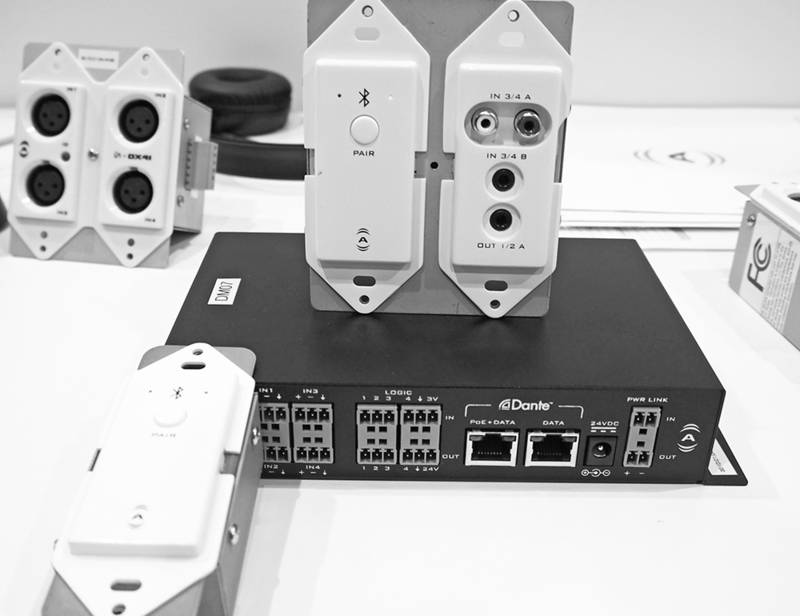 Endpoints are available with connectivity for analogue mic/line, Bluetooth and AES/EBU devices. Attero Tech products can be integrated with all major DSP brands including Symetrix, QSC, BSS, Yamaha, Bose etc. 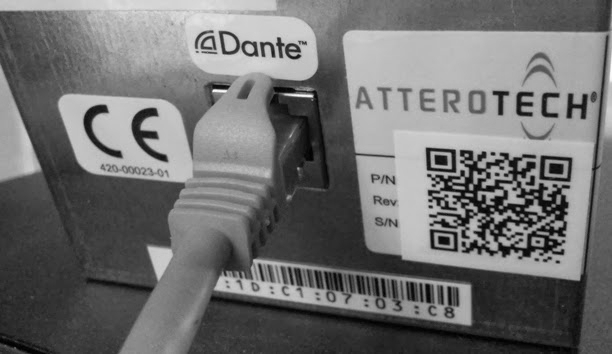 With the every increasing number of BYOD applications in AV applications adding Bluetooth to Dante end points was a natural progression for Atterotech to further enhance the connectivity solutions they offer. 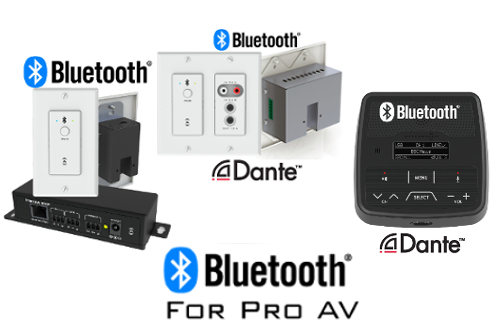 With the launch of the unBT2A, Atterotech allow system integrators to professionally integrate Bluetooth into non Dante enabled systems. With the advantage of the Bluetooth section and the conversion to analogue audio being done in separate items that can be upto 100m apart and are conveniently connected via Cat5e. 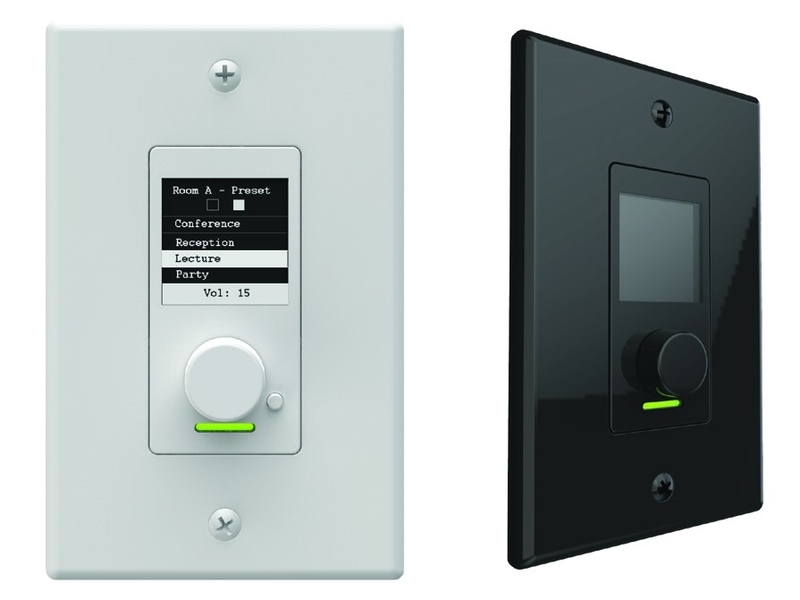 For Dante enabled systems the descrete unD6IO-BT wall panel integrates Bluetooth, while still providing the user analogue I/O for cabled connections to the audio systems. The audio transport is then done via Dante, directly from the wall panel over the network. With the ever increasing adoption of Dante audio networking in nearly every audio application, the ability to add and remove channels from the network in convenient locations and channel counts has never been so important. The evolution of this need was identified by Atterotech from the very beginning of the technology. 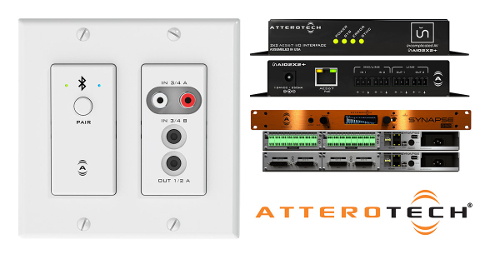 Today Atterotech offer the widest range of Dante end points, varying in both form factor and I/O connectivity to meet the needs of the every expanding array of installations that are deploying Dante audio networking. With a reputation for designing and manufacturing end points to allow the emerging audio networking technologies become useful solutions, Atterotech moves with the times and the market demands. Although AES 67 is still a relatively new protocol, it is being used both in installed sound and in broadcast solutions. To this end Atterotech have introduced a range of end points to allow integrators and system designers to assemble and deploy usable distributed AES 67 audio solutions. The way someone interacts with their AV system is a major factor in acceptance and satisfaction. Attero Tech produce control interfaces like the AXON C1 to make using an AV system easy. Simplicity of programming makes the life of an integrator easier too with using Attero Tech's own unIFY software or plugins for popular DSP platfors like QSC Q-Sys.